John Kiker, “Mr. John” as our family knew him, was assigned to a nearly impossible task. As head of the Mechanisms Branch at the Johnson Space Center (JSC), he was asked to design a way to get the Space Shuttles to the Kennedy Space Center (KSC) in Florida from landing sites in California or New Mexico. The initial plan was to fill the cargo bay with fuel and hang airplane engines on the wings. There were significant problems with that idea. First, with a bladder full of fuel in the bay, fuel lines would have to be run through the wings to four large engines to power the beast. Perhaps even more challenging, the delicate heat shield tiles on the underside of the wings would have to be removed and the internal structure of the wings beefed up to attach the engines. All of these would have to be removed before launch into space. 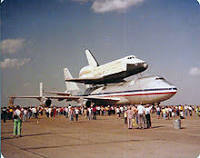 So, Mr. John started to “think outside the box.” What if the shuttle could be mounted on the back of a larger airplane and piggybacked across the country? He figured out a design using the huge Boeing 747 and began his drawings and calculations. It was a little crazy—but his analysis showed it could work. 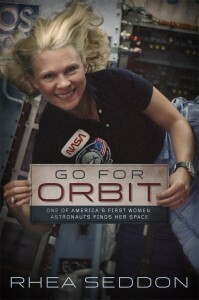 Persuading the other managers and engineers at NASA? That was another matter. An avid radio-controlled model airplane builder, Mr. John made a scale model of the contraption and secretly tried it out. When ready, he invited all of the NASA decision makers to watch it fly. On a sunny day at JSC, a crowd gathered to see the sight—a miracle to behold. On February 18, 1977, the real thing proudly taxied out to the runway at Edwards Air Force Base in California. Atop the newly-dubbed Shuttle Carrier Aircraft or SCA (still bearing American Airlines striping) sat an engineering model of the Shuttle named Enterprise. As television viewers held their breath, it took off, landed, and made history. 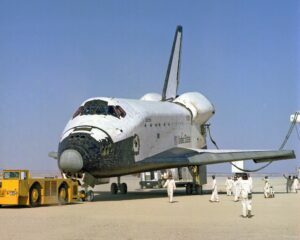 The first long-distance flight took the Space Shuttle Columbia from California to the huge Shuttle Landing Strip in Florida. It would do this ferry flight many more times whenever the Shuttles landed in California. The media let people know when Mr. John’s engineering marvel would fly over their city or stop at an airport to refuel, and huge crowds would gather. If you ever saw it, you’d always remember. After the last Shuttle flight, STS 135 in 2011, the remaining three Shuttles—Discovery, Atlantis and Endeavor—were flown on the SCA to their final homes. 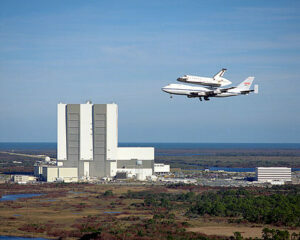 Discovery is in Washington D.C.; Atlantis is at the Kennedy Space Center in Florida; Endeavor is in Los Angeles. Imagine my surprise at the end of a cruise when our ship pulled into port in New York, and I looked out my window to see Enterprise on the deck of the aircraft carrier USS Intrepid, where it lives today. 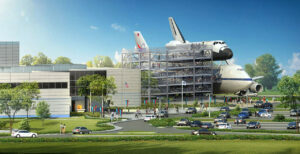 One of the two SCAs (with the Shuttle model named Independence on top) is now an amazing exhibit at Space Center Houston at the Johnson Space Center, near the field where the model of it first flew. Inside is a video and pictures of its history along with the actual model with a very fitting tribute to Mr. John Kiker, an amazing engineer. Most interesting and informative. So many brilliant minds in this world! Got to see Enterprise salute New York City with a flyby that included Jersey City (where I was viewing) en route to JFK and eventually the Intrepid. That was a sight! We we’re right next to the runway at KSC when Endeavour flew out on it’s way to California . Just an amazing sight !!! It was great to meet the pilot and flight engineer of the SCA as well !